Travel to Italy and chase the Marmotta Trophy ski mountaineering race. In Greece with explore the country's spectacular snow covered mountains. In Colorado we're at the Burton US Open slopestyle event. In Menorca, Spain we attend the a team mountain bike race that covers iconic trails on the island. 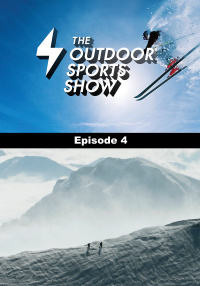 In this episode we travel to Martell town in Italy to follow the adventure of the ski mountaineering race, the Marmotta Trophy. Staying in Europe we head to Greece to meet Fabian Lynch and his squad who spent two months exploring the country's spectacular snow covered mountains. Staying on snow will take in the Burton U.S. Open slopestyle event in Colorado and the United States before we return to Europe and our final stop of this episode in Menorca, Spain for the Camelback Epic Cami de Cavalls 360 degree. The fourth edition of this team race covers some of the most iconic mountain biking trails on the island.